& TRAVEL MAVENS. . .
Getting ready to take off for parts unknown? Burke Williams Spa will hook you up to look your most beautiful with new advanced eye lifts, facials, skin treaatments and more. Visit: www.burkewilliamspa.com. Gem Mountain Studios at 401 North Canon Drive in Beverly Hills has the perfect jewelry collection to coordinate with your travel wardrobe for spring, summer or fall. Discovered this beautiful bling at the Harris Brothers WOW! Oscar suite on Rodeo Drive. The designs of brothers Barach and Isaac Kaufman are original and the gems are the most beautiful ever, with pieces that include earings, rings, and pendants; vary in price from under $500 to over $5000. Nominees and VIPs at the Wow! Oscar Suite loved these original art pieces. For information visit: GMSshop.com. Chic Clutch for travel or the country club. Along with a bevy of countless exquisite designer originals Designer Kathy Fielding gifted Celebs and VIPs with her hand made clutch with crystal ties during Oscar Week. This bag packs flat in your suitcase and is the perfect little bag for dinner at a Michelin rated restaurant or cruise party. 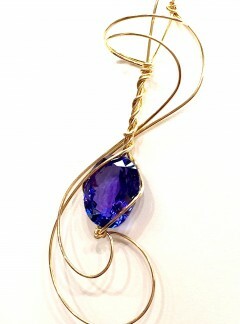 Kathy designs fabulous accessory items, as well as everything else you require for a stylized life. Visit www.kathyfielding.com. 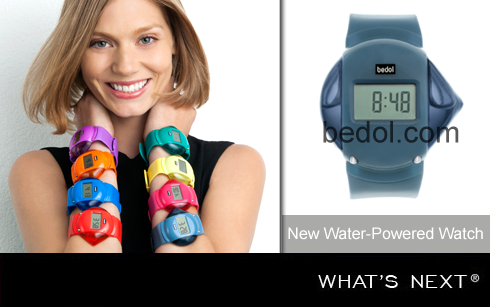 Water clocks and watches by Bedol in exciting colors are a very hot item for spring and summer. Yes, they run on water and are the eco-friendly way to keep track of time and come with a guarantee to save money. It's a Claremont California company so visit them at www.bedol.com. EagleCreek Luggage for people on the go. They have a new line of lightweight and efficient luggage in bright colors for summer, including an overnighter that holds all your clothes, personal items and computer with work items. It's idea for business or pleasure travel. 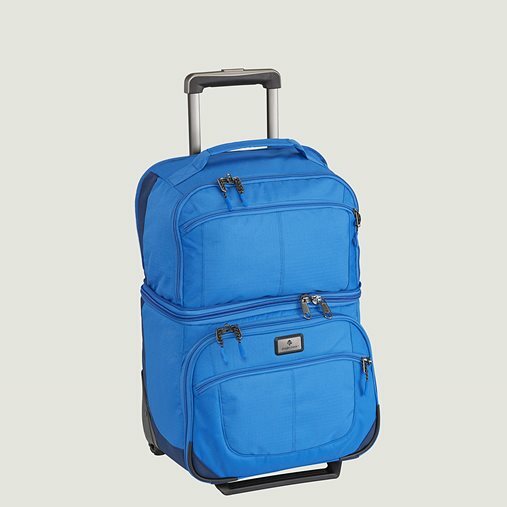 The carry-on popup is under $300 and comes in blue, olive or black. Visit www.eaglecreek.com. Pakems were a hit at the Oscar Pre-Awards ECO-Suite by Debbie Durkin. These darling walking shoes come in their own cozy carrier, are light and easy to tuck in a suitcase for an extra pair of comfortable shoes to wear on your local or international journies this summer. They come in a variety of sizes and styles. I love these wonderful shoes for travel! Visit: www.pakems.com. Take one of the most dramatic settings in the Mediterranean, transform traditional cave homes into a world-class hotel, and then leave it to a team of pros who obsess about hospitality and service to turn it into a truly remarkable retreat on a truly romantic island. But don�t take our word for it. 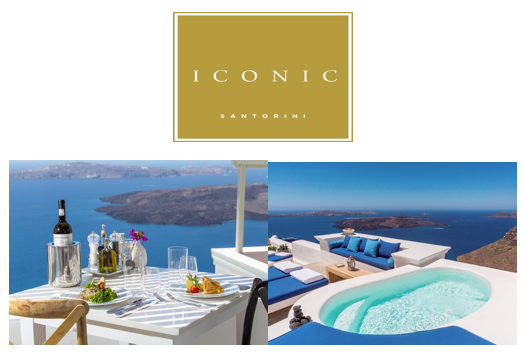 In the first year Iconic has received kudos from Islands Magazine as 2014 Top 5 Picks for Awe, 2015 Traveler's Choice award from TripAdvisior, Greece's Leading Boutique Hotel for 2014 by World Travel Awards and one of the 101 Best Hotels in the World by Tatler, who reviews it as �terrifically stylish but with a real sense of place.��All this within one year of opening. Iconic Santorini is a re-purposed marvel, a boutique cave hotel created from actual homes and shops in the whitewashed village of Imerovigli, the highest settlement on the fabled Santorini caldera. All 20 rooms and suites echo the island�s unique style of white vaulted caves, notched into the cliff, skillfully restyled, all with stunning sea views. Traditional fabrics blend with luxury amenities like flat-screen televisions, JBL sound systems, i-Pod docks and over-sized Coco-Mat all-natural bedding. Since guests say they love the sheer luxury of Iconic Santorini, two new suites have been added, with some of the best views in the hotel. If you want to be among the first to tan on their balconies, ask for a Cycladic Suite when you make your reservation. With the opening of its second season on May 1, 2015 Iconic Santorini invites honeymooners, romantics, lovers, escapists, foodies and independent-minded travelers to experience this inspired hotel�s unique blend of antiquity and today�s amenities. Chef Konstantinos Avgoulis (Chef Kostas to his guests and fellow chefs all over the world) has been developing enticing new menus focusing on local Santorini and indigenous Greek cuisine. Recently, he spent a week in Chile demonstrating his creativity in a Gastronomic Week, held at the Grand Hyatt Santiago. Again this year, dining at the hotel�s cliffside Pergola Restaurant will be one of your most rewarding and romantic memories of your Santorini escape. Romance is always in the air and Iconic offers special packages that might include a candlelit 8-course dinner for two, welcome bottle of Champagne, massages for two, private airport transfers and private sightseeing tours, depending on the category of suite. Rates in May start at 645 Euros a night for two, including breakfast and poolside snacks, all hotel taxes and complimentary high-speed Internet access. The Iconic Santorini is managed by Hospitality America* and belongs to the Mantis Collection of award-winning five-star properties -- a combination that means guests enjoy a smiling, friendly welcome and world-class personal service, the kind of pampering Greek hospitality that earned Iconic Santorini its garland of awards. For a gallery of enticing photographs and full details on individual suites and packages, log on to www.iconicsantorini.com. *Hospitality America, Inc. is a full-service hotel management company that presently operates nationally and internationally with 15 hotels under management and 4 additional hotels in development. Services include operations management, accounting, sales and marketing, development and renovations, asset management and consulting. Hospitality America is ranked among the Top 25 by Occupancy, #19 by ADR and #16 by RevPAR � Annual Rankings of the Top 100 Management Companies, HOTEL BUSINESS, April 2013. For detailed information please visit our website at http://www.hospitalityamerica.com.